I am addicted to the challenges put on by Lisa Lodge of Pine Ridge Treasures! 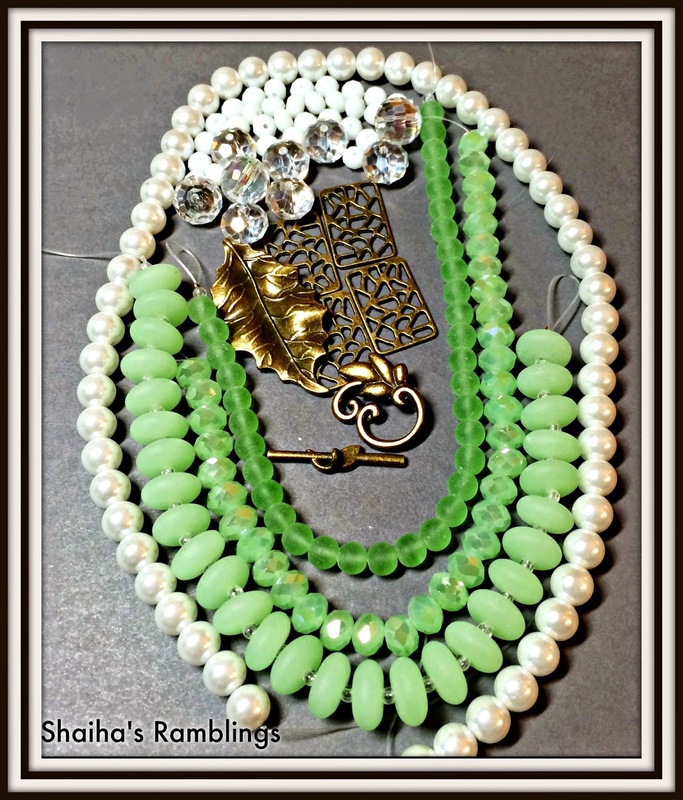 She sends us out kits that are packed with beads and posts a picture in the group to inspire us. And see what I mean when I say packed with beads? Most of these beads are from ZNetShows which happens to be my favorite supplier for crystals and sea glass. They also have great glass pearls. I just love the fact that Lisa sends out more then I end up using for the challenges so I have extras for other projects. I didn't end up using any of the brass this time around because this color seemed to want silver findings. I picked up this shamrock from Sheryl of Metapolies a while back because I liked the look of it. Besides aren't four leaf clovers supposed to be lucky. When my goodies for this challenge came in, I just knew that I wanted to use them together. 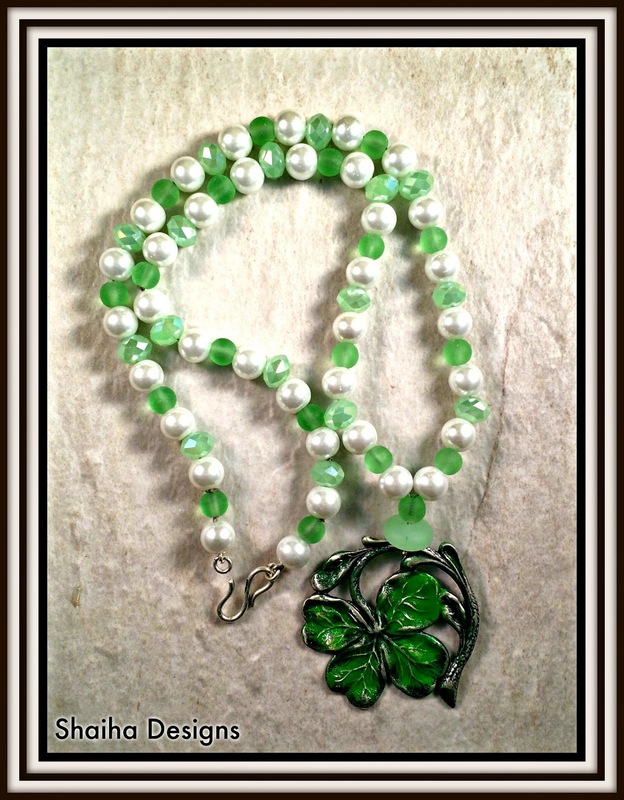 Perfect to celebrate spring and St.Patty's, this necklace is hand-knotted with glass pearls, sea glass and Tiaria crystal. It is finished up with a sterling silver clasp. This necklace is available in my store. 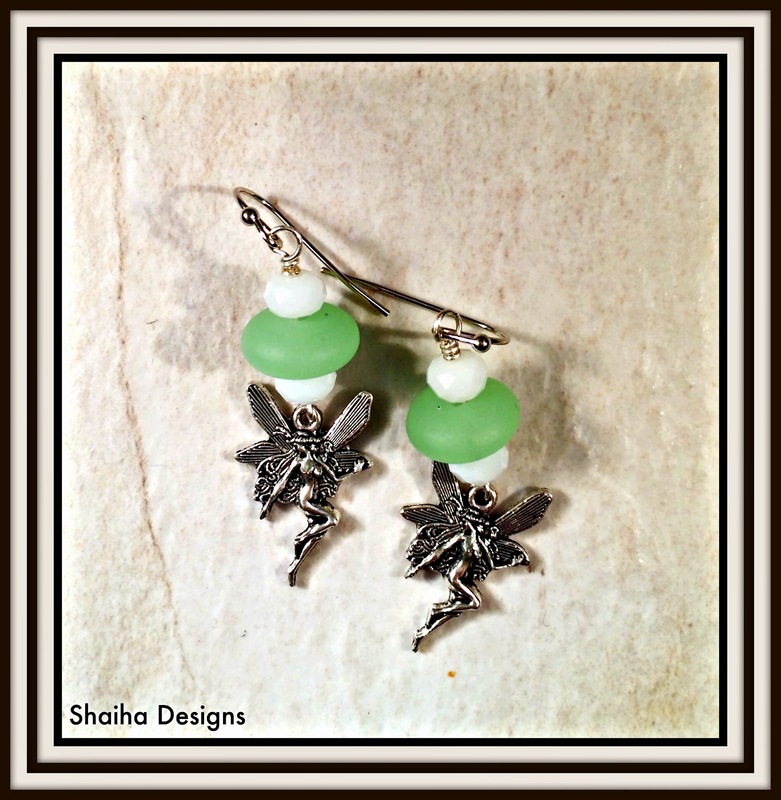 Both pairs of these earrings use more beads from the kit along with pewter charms and sterling silver earwires. They will be part of the package that I am planning to donate to Ears To You. 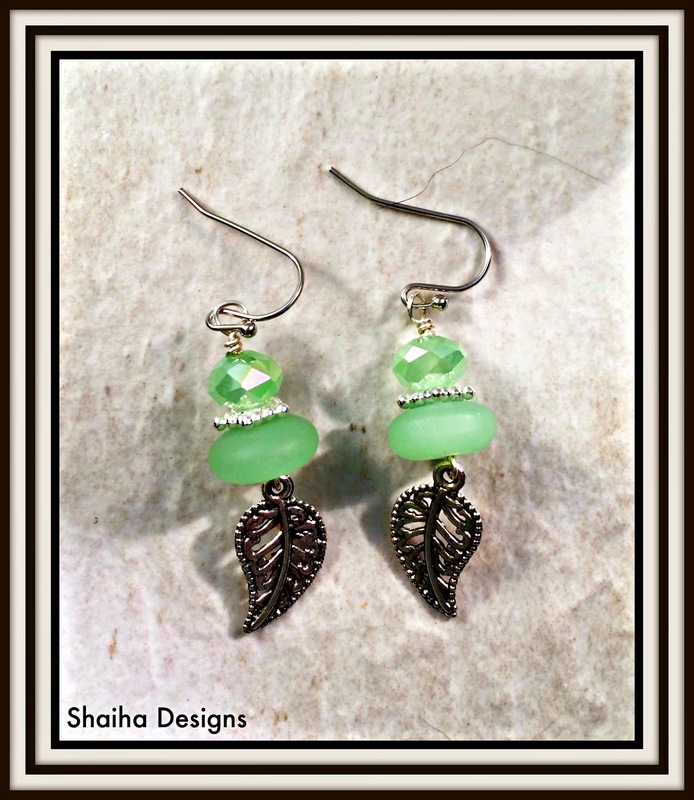 Beautiful pieces - especially those earrings - both pair - LOVE them!! Beautiful Shai. I thought this kit colors should have gold but I went ahead and used the brass and I liked it.